Our Marketing Strategist @paigegoueffic went a bit rogue with her #FanArtFriday this week. 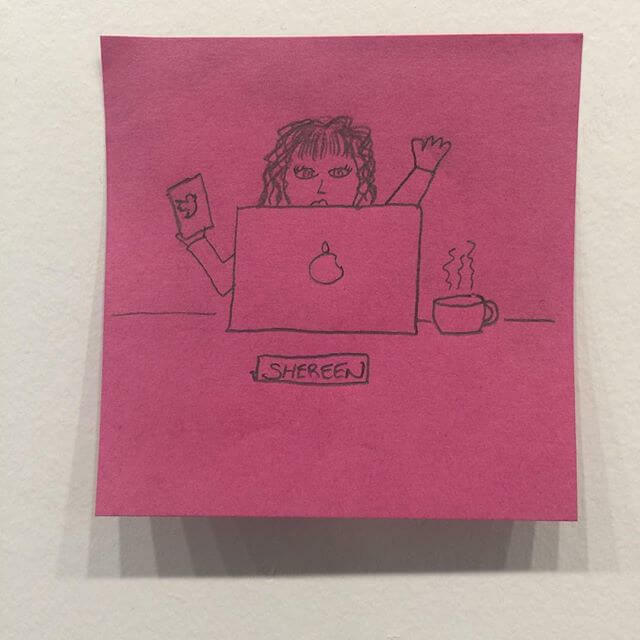 Turns out, she’s a big fan of our Content Strategist @shereenzink, so she drew her. Classic Paige Post-It art.